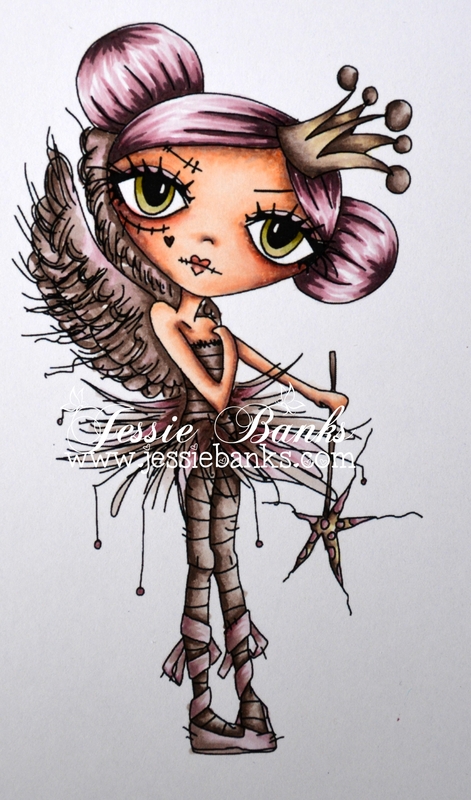 Hey everyone, I am here today with an Polkadoodles Oddella Fairy from the Ickyink collection. I made this card for the Polkadoodles Girly but not Pink Challenge. 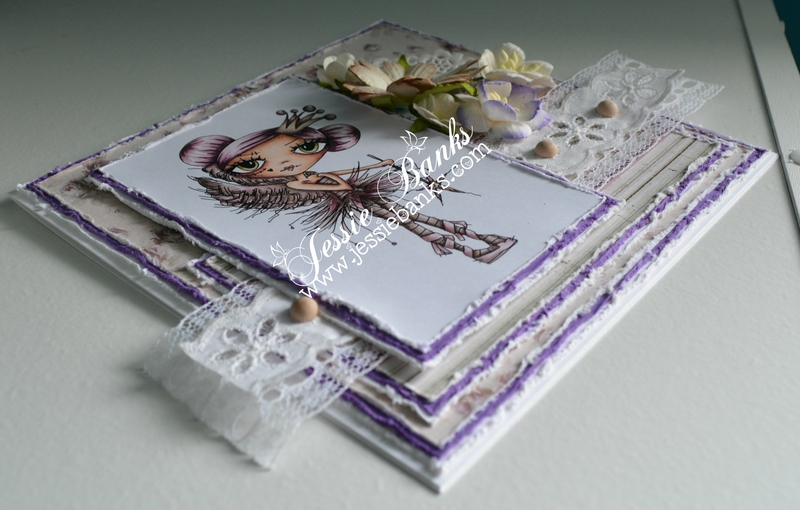 Patterned paper, carstock, lace, wood dots and flowers finish off the front of this card. such a pretty creation. I adore Oddella. Thank you for joining in the girly but no pink challege over at Polkadoodles this fortnight.